There are many types of rice. Rice is a staple food in many countries. There are more than forty thousand varities of rice worldwide. Rice, as it grows, can not be eaten without some processing. The most basic thing before using any rice is removing the husk. Unhulled rice can not be cooked and eaten. For cooking, the rice grain and chaff is separated. You can see the unhulled rice in the image on right. The rice chaff after it is removed in the image on right. 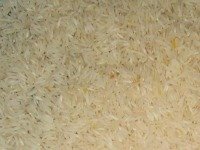 As you scroll down, you will find the different varieties of rice pictures and information about those varieties. These varieties of rice are according to the size, shape, aroma and color. In size - shape, we have the long grain, medium grain and short grain rice. Among colors, we have white rice, brown rice, red rice, black and purple rice. The aromatic rice are basmati rice, jasmin rice, ambemohar etc. 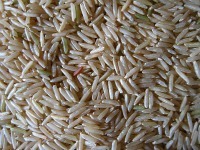 For cooking, raw rice as well as parboiled rice is used. Parboiled rice is more used in South Indian states. Basmati rice is grown mainly in India and Pakistan but is appreciated and consumed all over the world. It is a bit expensive compared to other rice varieties. It is a delicate long grained rice. It has a wonderful aroma. After cooking, it increases only lengthwise. The grains remain separate and are fluffy. It requires less water to cook compared to other types of rice. Basmati rice is used to make pulao, biryani, or plain steamed rice and also to make sweet rice puddings. White rice is more commonly used the world over. The white rice may have short, medium or long grain. 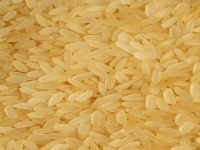 White rice is also referred to as polished rice as it is the rice that has been polished well, the bran/germ is removed. But while polishing the rice, the nutritious part, the vitamins gets removed. So white rice is not as nutritious as the brown rice. White rice is used to make plain rice, pulao, biriyani, lemon rice, mango rice, khichadi etc. It is also used to make breakfast items such as Idli, dosa, uttappam etc. Rice flour made from white rice is also used to make breakfast foods such as akki rotti, rice flour upma etc. Snacks such as maddur vade also are made with rice powder/flour. Rice rava or rice sooji (Cream of rice) is made from white rice and is used to make rice rava upma, rice rava idli etc. 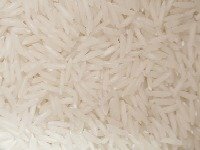 Parboiled rice is the rice that goes through the steam-pressure process while still in husk. Then the husk is removed and the rice is used in cooking. Parboiled rice is very commonly used in the southern part of India for making fluffy idlies and also as plain boiled rice to serve with rasam and sambar. Parboiled rice can not be cooked very soft, is non-sticky and has a firmer grain which can be easily separated and peculiar flavor when cooked and is easier to digest as it is precooked before you cook it in your home. Those who like their rice cooked soft may not enjoy this parboiled rice. The rice grain is brown when it isn't pounded/ polished too much. The hull is removed but the bran is retained. So brown rice is more nutritious compared to white rice. Blackish purple rice was known in China as forbidden rice as only the royals were allowed to eat it. This rice is available in Thailand too. It has dark purple, almost blackish color. It is very sticky and good for making sweet rice puddings. It is very nutritious because of the antioxidants it contains. It is rich in iron. In India, this rice is used to make 'shalyanna', sweet rice, which is served as 'prasadam' in temples and at religious functions in homes. It has a nutty flavor. Because of the bran the grain is harder and it takes a bit longer to cook compared to white rice. It also needs more water. Soaking the rice in water for 20-30 minutes or even longer can reduce the cooking time. Jasmin rice is a fragrant , long grained rice and is not sticky. It is commonly used in thai cooking. When it is being cooked, the aroma is very delicious and inviting. This rice is available in Maharashtra and means 'mango blossom' as that is how the flavor is when the rice is cooked. It is short grain rice and is very soft and chew-able when cooked. The grain breaks easily. Very good for making curd rice.